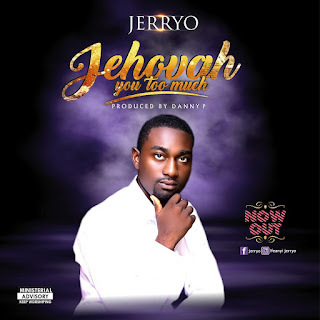 Onuoha Ifeanyi Jeremiah AKA Jerryo, a singer/songwriter, worshiper and choir leader who hails from Nigeria Imo State but currently based in Akwa-Ibom State. He started singing when he was 10 years in the church... Jerryo has written so many songs and recorded his debut single HE CARES. ‘Jehovah You Too Much’ is a praise song that portraits the love of God towards us… how he died for us on the cross. Glory be to the Lord in the highest... Halle Halle Halle hallelujah..
Baba you too much oo (you too much oo).